The Chicago White Sox and left-handed pitcher Jose Quintana have agreed to a five-year contract, the team announced on Monday. The deal includes two club options that could keep him with the organization through 2020. The deal could be worth as much as $26.5 million guaranteed. With the two club options, the deal could reach $48.5 million in total value. The 25-year-old pitcher has spent the last three seasons on the Southside after being signed as a minor league free agent by the team. He was previously with the New York Yankees. 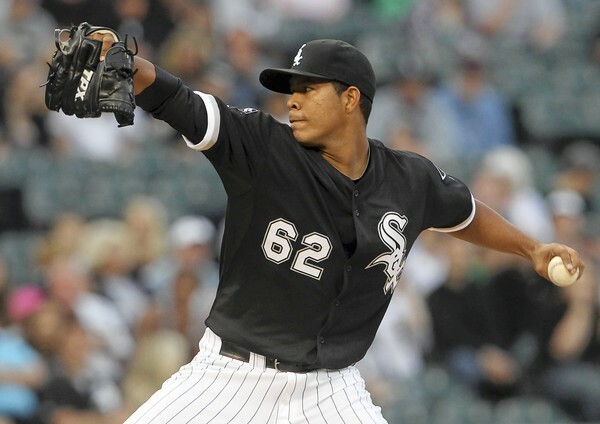 If Quintana is eligible for arbitration after the upcoming season, he could net $26.8 million. If he’s not eligible, he would receive $21 million guaranteed. Quintana will be the number two starter heading into the year in a rotation that should be one of the strengths for the White Sox. He finished 9-7 last season with a 3.51 ERA in 33 starts and 200 innings.